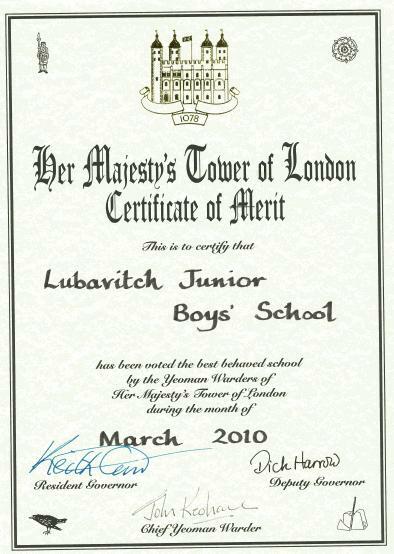 Following a recent excursion to the Tower of London, pupils from Lubavitch Junior Boys' School were awarded a prize for their outstanding behaviour. 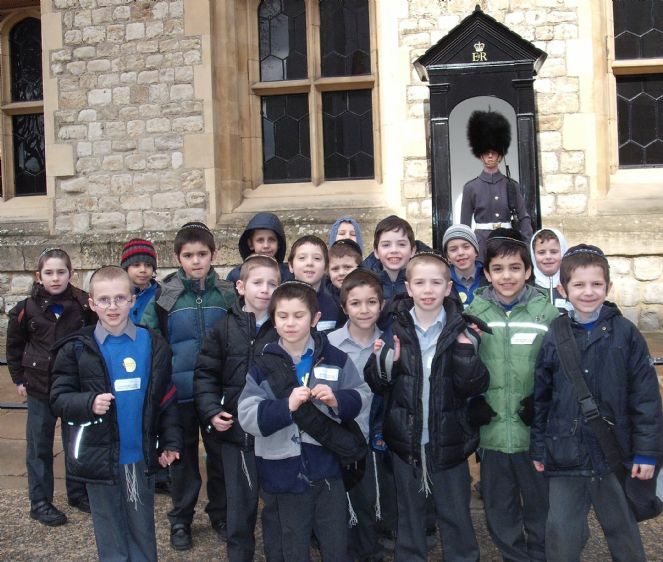 As part of their Geography and History curriculum, year 3 pupils visited the Tower of London. After taking special note of their exemplary behaviour,the Yeoman Warders voted the class the best behaved visitors for the month of March, awarding them Her Majesty’s Tower of London Certificate of Merit. 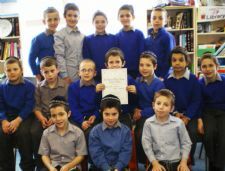 “I am really proud of them receiving this certificate showing their good behaviour,” said Rivka Poolat, class teacher. At the Tower, the boys had the chance to enjoy learning about British history through exhibitions. Pupils were particular excited to see the landmarks famed Beefeaters and ravens, as well as the Crown Jewels. “The boys showed a lot of interest in the exhibitions and they gained a deeper appreciation for the country's history,” said Mrs Poolat. Fantastic!!!!!!!! Well done!!!!!!! We're so proud of you all, and thank you so much to your wonderful teacher Mrs. Poolat, who takes you on such exciting school trips. Keep it up!! Go Mendel Sudak!! We are so proud of you!